For the Pathfinder RPG customer who wants a little more, Everyman Gaming is proud to introduce Everyman Minis! Uniting several high-quality Pathfinder RPG freelancers under a single product line, each week a different Everyman Gaming author or freelancer tackles an exciting new topic by creating a miniature product specially designed to scratch that product’s particular itch. 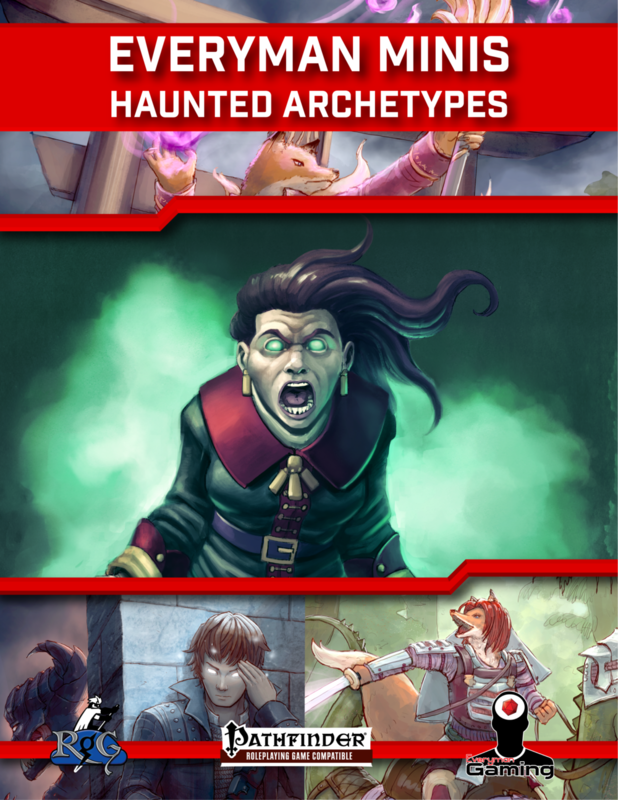 This installment of Everyman Minis includes: 1,000 words introducing two all-new archetypes designed to interface with the haunt invocation rules found in Everyman Minis: Haunt Invocations. These new archetypes, one for the witch and the other for the unchained fighter, are designed to allow characters to summon haunts in new and exciting ways! With Everyman Gaming, innovation is never more than a page away!